The 2.4 meter is 13 feet 8 inches long. 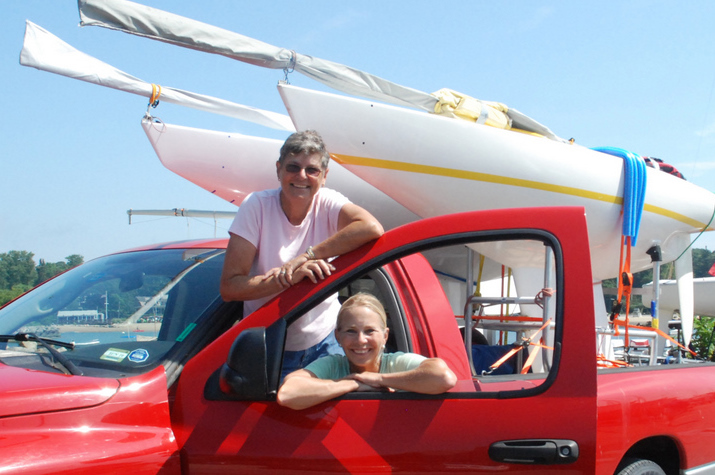 Designed for competitive sailing, it is easily handled, trailered, launched and stored. The 2.4 meter is perhaps the best, most fun single handed boat you will ever sail. It can be as tactical, technical, and fast as you want it to be. In many ways, it is like sailing your own small 12 meter. Anyone who has sailed a 2.4 meter will tell you that they are exciting to sail, very competitive to race, and offer loads of FUN. . The class includes former Americas Cup sailors, one-design champions, disabled sailors, cruising class sailors, and people of all ages and genders who love to sail. The best thing about the 2.4 meter is that each sailor competes on an equal level of sailing ability – not agility. Some have call this boat “the great equalizer” because it really levels the playing field for sailors of all ages and abilities. The 2.4 meter is 13 feet 8 inches long. It is easily handled, trailered, launched and stored. It is designed for competitive sailing, falling under broad technical and class administration of the International 2.4mR Class Association and the International Sailing Federation (ISAF). The class has been recognized by the ISAF (formerly the IYRU) since 1993. 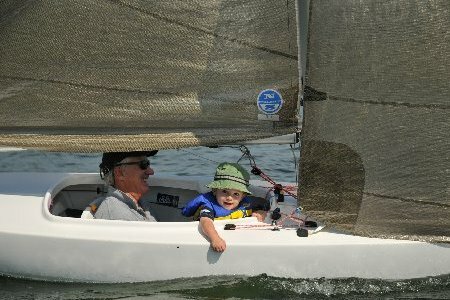 Because these boats do not require excessive strength and hiking is not required (nor permitted), a very broad spectrum of sailors sail competitively. In fact, all sailors sail competitively. To note, the 2010 2. 4 meter World Championship was won byPaul Tingley, a parpelegic from Canda. This shows that sailing ability is the key to winning in this boat, rather than physical agility. 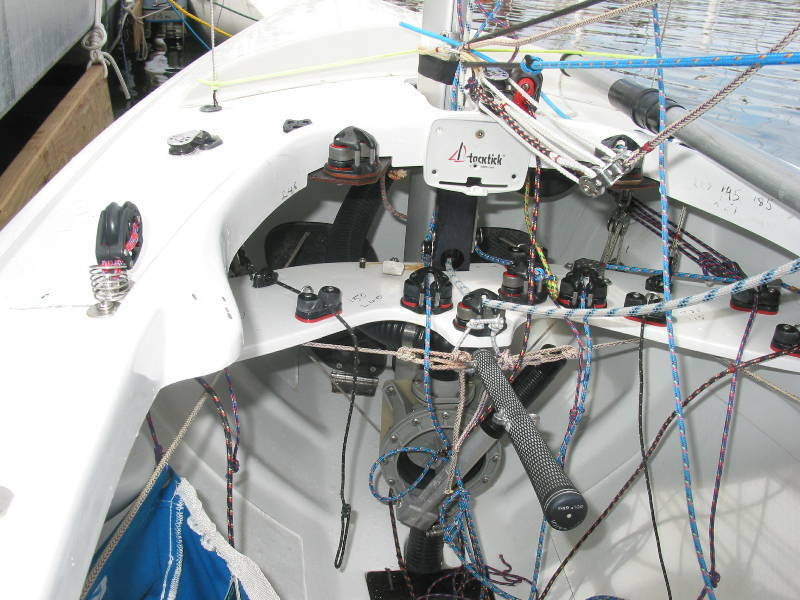 In the 2.4mR, a sailor’s personal dedication and determination to compete can overcome obstacles inherent in other sailboat designs. It is light enough to trailer behind a small vehicle or just put 2 in the back of a pick-up truck. 1. Question – How long is a 2.4 meter? Answer – approximately 13′ 8″ long. The 2.4 designation refers to the class and measurement rule to which it is designed and built. Not its length. 2. Q – How much does a 2.4 meter boat weigh? A – It weighs about 572 pounds, including 400 pounds of removable lead ballast. It is light enough to trailer behind a small vehicle or just put 2 in the back of a pick-up truck. With the ballast removed it can even be car topped. The hull weighs about 142 pounds and can be lifted by two people. 3. Q – Where can I see a 2.4 meter? A – There are a number of active fleets in the United States including: St. Petersburg, Miami/Fort Lauderdale, FL; Stamford/Darien, CT; and Seattle, WA. Fleet activity is steadily increasing. Any owner will be proud to demonstrate the boat and explain the benefits of ownership and joining in the local fun. An active race schedule is in place each year, with summer races mostly in the northeast and Canada and winter races in Florida. Check the website for a complete schedule. The entire boat can be made ready for sailing in less than 30 minutes by one person. No more hassles of finding a crew for racing – you are it! Unless you wish to take your grandchild for a ride! 4. Q – How many boats are in the fleet? A – The US fleet has approximately 200 boats and the world fleet is in excess of 1,200. It is not uncommon to see of 25 or more at regatta starting lines in Europe. And World Championships generally have a fleet of 75 to 100 boats. 5. Q – How many are required for the crew of a 2.4 meter? A – One – The 2.4 meter is single handed. The entire boat can be made ready for sailing in less than 30 minutes by one person, including setting the mast in place. No more hassles of finding a crew for racing – you are it! Unless you wish to take your grandchild for ride! 6. Q – What is the price of a 2.4 meter? 7. Q – Where can I buy a 2.4 meter? A – Visit our boat supplier page. 8. Q – I am a sailor, 60 years old, weigh over 200 pounds and I am not as mobile as I once was! Can I really compete in the 2.4 meter? A – Absolutely! The 2.4 meter is suited to your description and capabilities. By design, weight is not a factor in winning or losing and you can compete with and challenge the experts. One contestant in a recent US National Championship was over 75 years young, with others over the age of 60. Age, size and physical condition are not the standards for successful and enjoyable sailing and racing in a 2.4 meter. It is suitable for all age and skill levels and is actively raced by people with many forms of physical limitations. It is a boat you can continue to grow into. All the lines to trim the main and jib are right in front of you, and sitting in the boat gives you great visibility to the sails. 9. Q – Can a beginning sailor handle a 2.4 meter? A – The boat is a great training tool for beginners. Because you steer with foot pedals, it is much easier for the beginner to learn to sail. All the lines to trim the main and jib are right in front of you, and sitting in the boat gives you great visibility to the sails. 10. Q – What can I learn from sailing a 2.4 meter? A – Many people believe that there is nothing that cannot be learned or improved upon by sailing a 2.4 meter. Since you are the skipper, the tactician and the crew, every decision is yours to make, and yours to execute. If you make a mistake – you know instantly as the boat reacts to your action. When you do the right thing – the reward is an instantaneous positive reaction. Each time you sail you will learn something new or improve on a already established skill. 11. Q – Is the 2.4 meter FAST? 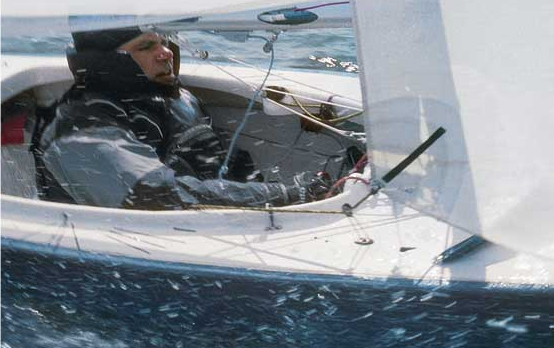 A – Speed in a displacement sailboat is determined by length, type and wind velocity. The design of the 2.4 meter produces a long water line in proportion to its overall length. This in turn allows for higher “speed” potential. As the boat is technically advanced in design, construction and rig, finding and improving upon the ultimate “speed” of your boat is what it is all about. 12. Q – Will the boat sink if it is swamped? A – The boat is designed to have positive flotation when filled with water. The flotation of each boat is inspected and observed when the vessel is originally measured. It is, however, the responsibility of each operator to insure that their boat has the proper flotation. Each boat is equipped from the factory with a manual bilge pump. An optional electric bilge pump is available. In smooth water and rolling swells, the boat is quite dry. However, in a short chop there is a good amount of spray, which is part of the fun. 13. Q – How wet is the 2.4 meter when sailed? A – In smooth water and rolling swells, the boat is quite dry. However, in a short chop there is a good amount of spray, which is part of the fun. The built-in bilge pump enables you to easily eliminate any excess water, and most boats have an electric pump that cycles on when water is in the bilge. 14. Q – The 2.4 meter looks delicate! Will it withstand hard use? A – The boat is well designed and solidly built of reinforced fiberglass and should not be considered delicate. But, as with any type of boat, docks and seawalls are stronger and can inflict damage. Normal care must be exercised whenever a boat is operated. The boat is designed to sail and race actively and when provided with reasonable care and maintenance should provide an investment for many fun filled years of racing and sailing. 15. Q – Must I belong to a sailing or yacht club to race in the class? A – NO! The class is not associated with any sailing or yacht club and is open to all people interested in the goals of the class, either as a Participating (owner) or an Associate member (non-owner). Yearly dues are collected by the Class Association and are currently $95.00. 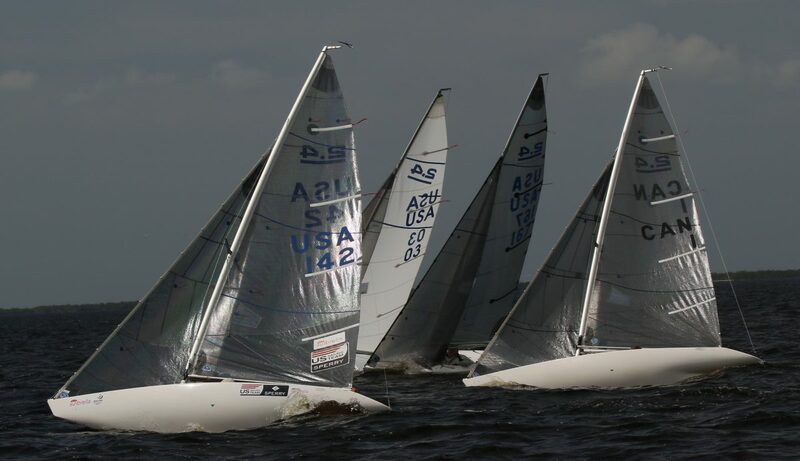 To continue the promotion of American sailing it is suggested that each Class member also become a member of US Sailing, the United States coordinating group of sail boat racing. 16. Q – What level of competition can I expect in the 2.4 meter? 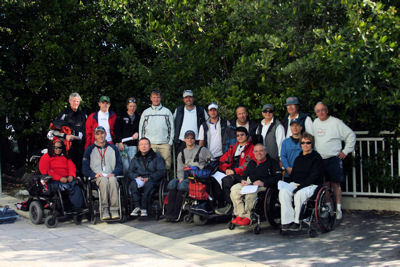 A – The class has drawn sailors form all age groups and skill levels ranging from America’s Cup participants to novices. The Class is very competitive and the 2.4 meter boat is an excellent platform for ANYONE to improve their sailing and racing skills through close competition in a technically advanced, ballasted single handed keel boat. Most regatta’s have different participants who may are men and women, youth and senior, skilled and learning, World and National Class sailors. The class has drawn sailors from all age groups and skill levels ranging from America’s Cup participants to novices. The Class is very competitive and the 2.4 meter boat is an excellent platform for ANYONE to improve their sailing and racing skills. 17. Q – Can the boat be launched from a ramp? A – Yes – With a suitable submersible trailer or dolly and good launching surface the boat can be launched and retrieved. When traveling to regatta’s the boat is simple to trailer behind almost any type of vehicle. It is also simple to rig and launch. Your enjoyment remains with sailing, not preparation. 18. Q – What types of sails are required? A – The Class calls for only a main and jib. Instead of a spinnaker, the boat has a whisker pole with an easy launching system to wing out the jib downwind. Many sail makers have produced effective racing sails. The choice of a sail maker should include their ability to relate to your needs and specific requirements and their recommendations to achieve maximum performance for your boat.